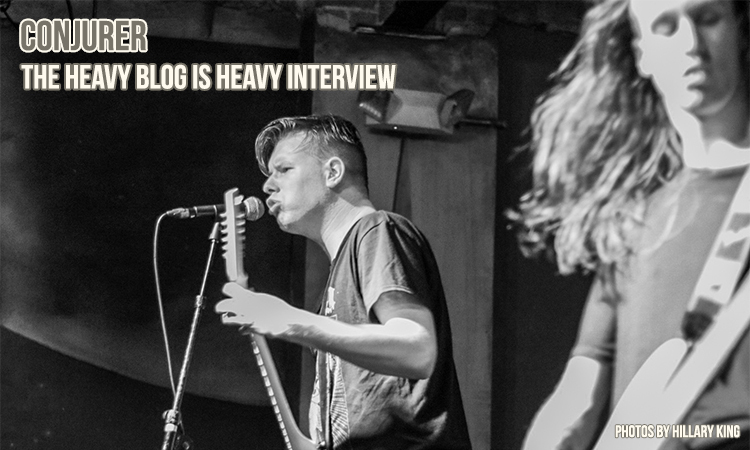 Yesterday we posted our interview of Last Chance To Reason, but it isn’t the only band we talked to this week. 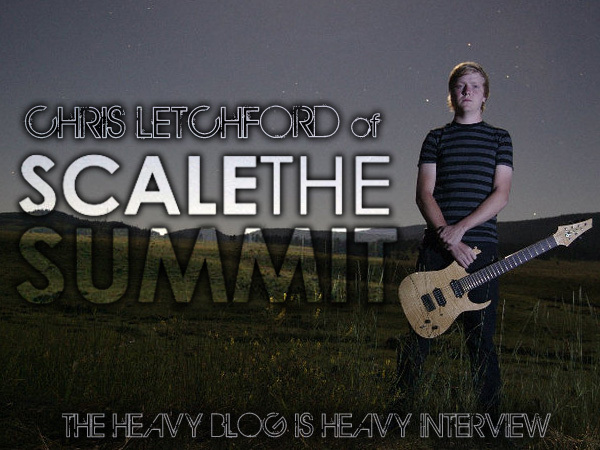 On the very same Protest the Hero headlining tour (which ended last night), we spoke to Chris Letchford of the instrumental progressive rock/metal band Scale The Summit about instrumental music, their latest album The Collective, and the past couple of years on the road. You guys played phenomenal tonight. This was the first time I’ve seen you guys live, but I’ve been a fan for a while. Something I’ve always wanted to know; your songs sound very cinematic, like they invoke these images of landscapes and everything with song titles like “The Great Plains” and “Whales.” Do you go into it as if you want to write a song about whales or do you apply the title after the fact? Usually after the fact. Yeah, cause usually when we write, we’ll finish a song and then we kind of sit back and listen to kind of visualize imagery from all the moods and whatnot that’s going on in the song. Yeah, it’s definitely afterwards, for sure. Instrumental music seems to have a better market now than it did when you first started. That could be because of technology and everything, but how do you see the more popularity of instrumental music? You’re definitely right. It’s not that it has more of a market, I think there’s more people are accepting of it, but that’s because instrumental bands are actually touring now, you know? Because there’s been instrumental forever, but it’s just the only people touring instrumental were like Vai and Satriani and a little bit of Petrucci. [Liquid Tension Experiment] never actually physically toured, you know? So they’ve been around since the late 90s or whatever. But yeah, with us, Animals as Leaders, Pelican, Russian Circles and all those bands actually touring, it’s easier for us to get instrumental music out there. So people always say, “Oh, you know instrumental is getting popular now.” It’s like, yeah, more in the touring world, but you know it’s obviously been around forever, it’s just now there are actually bands that are going out there and touring. And you guys are finally starting your first headlining tour next year, is that right? Yes, that’s right. Starts January 27th in Houston and then runs til February 22nd. It took long enough! Your third album’s out and you’re finally getting out there and headlining. Yeah, exactly. So yeah, it’ll be really cool to see how it goes. We’re gonna be playing a 70-minute set every night, so it’s gonna be intense. There’s gonna be songs from all three records, so it’ll be good. That’s gonna be great. These days, touring musicians don’t make a lot of money, and a lot of musicians like you do lessons on the side. Do you see this as like a means for bands, like it’s going to catch on? Like, we’ve got Bandhappy coming out soon. Do you see this as a way that the industry is changing? Yeah, I own one of those. Just the one with the white cover. Oh okay, the technique book? Yeah, right on! Yeah, so see, stuff like that. It just all depends on how you look at it. If it’s just a big party, then it’ll be just a party. It won’t be a business, you won’t make money. But it just depends on the bands you talk to. It’s just kind of blowing my mind how this barrier between the band and the fans is kind of just getting thinner. Especially since people can say “I’ve taken lessons with Chris Letchford. I’ve taken lessons with the guitarists of Between the Buried and Me,” that sort of thing, these days. I think that’s sort of refreshing. You couldn’t do that before. It is cool man. Yeah, even since we’ve started the band, I’ve written back every piece of fan mail that has come in to us via emails, Facebook, YouTube comments, messages, however… back in the MySpace days. Everybody always got a response from us cause, I mean, back when I used to be a fan of bands—and only, you know, not playing or touring in a band—I used to be bummed out when they would be like it was untouchable, you know? Like, I can’t talk to you? You’re a normal person just like I am! So it’s just like I wanted to iterate that to people that we’re not bigger than anybody else. We’re just normal people, it’s just we’re on stage and they’re watching us. That’s the only difference, you know? Cause I’m a fan of bands! Obviously, touring with Dream Theater; I was a fan of them, and I’m meeting them and having them talk to me about their family and stuff that’s not music business, it’s just awesome for me… as it would be for anybody that was a fan for Dream Theater. [Pointing to my friend Stephen:] Yeah, he’s a massive Dream Theater fan. Yeah! They’re super nice guys, I’ll tell you that right now. They’re all like the nicest people. Touring with them was like a pleasure. It was spoiling, you know? Every night. You guys tour with, like, every band that I care about. And you were on the road a lot this year. It’s more than I’ve ever seen you on the road. I may be mistaken, but you’ve been on the road a lot. You mentioned Dream Theater; what other bands that really stand out that you’ve toured with? Oh, I wish I could have seen that, but I missed it! It was one of the best tours. Well, one of the best tours besides Dream Theater. It’s just that Dream Theater had a lot of large crowds and the full catering, so it’s spoiling that way. But on the BTBAM tour, it was large crowds and we were in a tour bus, so it was spoiling in that way. So they’re both… we’ve know Between the Buried and Me for a long time, so it was really fun being able to tour with them. Cynic we had known a little bit before them, but we know REALLY well after the second tour with them this year, but I’d say them and we really enjoyed touring with the Periphery guys. 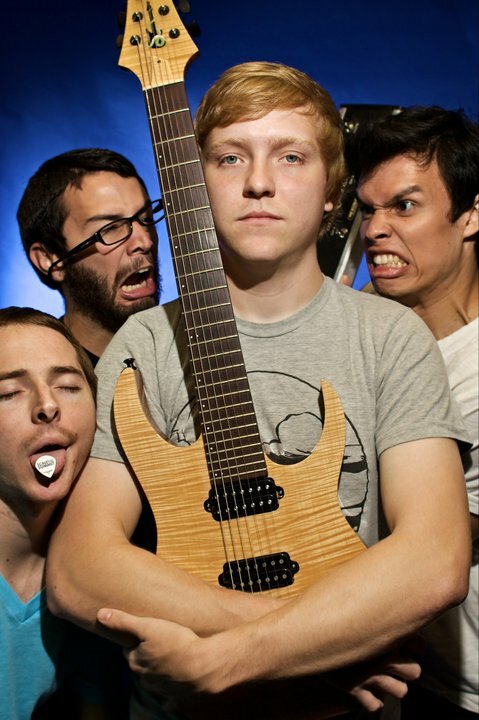 I’ve known Misha [Mansoor] for a little while and their old guitar player Alex [Bois] used to talk online from time to time, so it was really fun to do that, but this one was obviously awesome too, cause this was round two for us with Protest the Hero, so that was a lot of fun. If you didn’t tour and didn’t do music for a living, what would you spend your time doing? Probably going to the gym. That’s probably it. That would probably be my main hobby. I mean, I do that when I’m not on tour, but that and spending time with my two Great Danes, which I miss every day on tour. So, I’d maybe teach to make a living, but as far as what I’d be doing, I’d probably not have a hobby that I was super super dedicated like I am to guitar right now. I don’t know. As far as that goes, yeah, playing basketball full court in the gym and working out, I guess. So this tour has how many more shows before you get to go home? Okay, so you’ll be home for Christmas? Yeah, we’re gonna drive back from Pittsburgh. It’s 22-hours straight and we’ll be there at like 10 in the morning Christmas Eve day. So yeah, we’ll barely make it as long as there’s no issues. I know The Collective just came out this year, but have you got any new material in the works just yet? We do. We have a vinyl actually coming out for The Collective in February, but there’s gonna be a new song on there called “Redwoods.” We did finish a new song called “The Traveler,” actually on our last break between tours, and it’s the hardest song I’ve ever written for the band, so the guys are stressing about it because it’s gonna require a lot, a lot, of practicing to get that tight for live. But yeah, we’re working on that. Prosthetic, I think, wants us to do a new record next year, but I mean, based on how much we’ve been touring this year and then we’re doing the headliner in February, I don’t know when we’re gonna stop touring for The Collective. I don’t know what the plans are. I think we’re supposed to go to Europe, do Japan and Australia next year some time as well, so as far as completing another record? I mean, I wrote all of The Collective, so I don’t even imagine… I mean, I need at least three months to sit down and just write. Oh, so you wrote all of The Collective? Oh, I didn’t know that! I thought it was a band effort. Well, I write all of the music—both guitar parts, and I used to write a lot of the drums and bass, and now we’re on the same page to where I just basically hand them the written music. So the songs are written, it’s just… people are all “oh, they wrote their own parts.” Yeah, but I wrote the songs. Oh yeah, they got to come in and do their stuff over it? 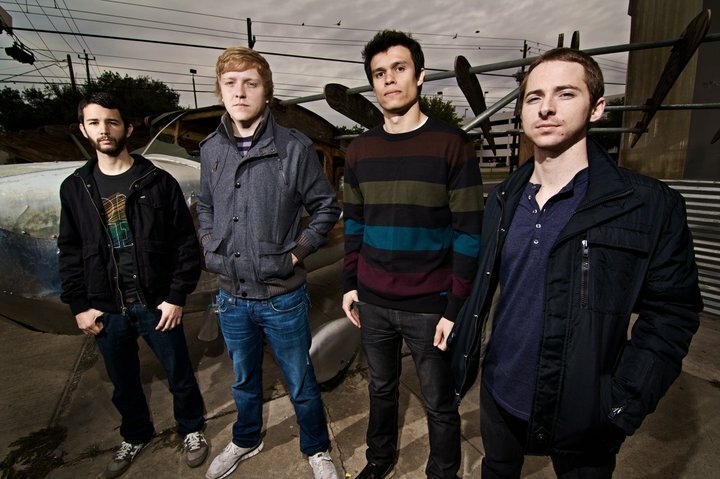 Scale the Summit will begin their first ever national headlining tour in January with support from Elitist. Check out the tour dates and keep up with Scale the Summit on Facebook.